Warwickshire is proof that you don’t need the seaside to entertain the family. Step back in time and discover England’s rich history. Slap bang in the middle of the country, it’s only two hours from Central London but it feels like another world. Staying in one of our hotels in Warwickshire, you’ll soon experience the quaint streets, traditional architecture and vast countryside. It doesn’t take much before you feel you’re living in the times of the county’s most famous residents – Shakespeare, Cromwell and Tolkien. 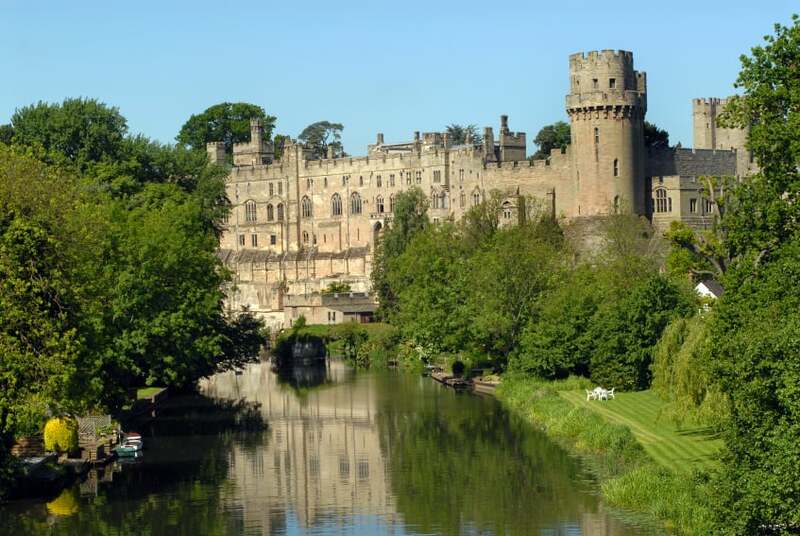 Book a hotel in Warwickshire and make your first stop Warwick Castle, voted Best Family Day Out 2015 by Family Traveller. William the Conqueror was the original resident, and you’ll have your chance to live like a king for the day. Also, visit the castle dungeons (warning: not for the faint hearted). Stay for the day and make our Royal Leamington Hotel your castle for the night. It’s only three miles away. Had enough history? No problem. The Royal Shakespeare Company is close, and it has a terrific programme of plays. Nearby, you’ll find a great selection of restaurants which are sure to please. After dinner, you can enjoy a relaxing stroll back along the River Avon as our Stratford Upon Avon Hotel is just over a mile away. To escape the city, stop in at Coombe Abbey for afternoon tea and a stomp around Coombe Country Park. It’s an easy 2.2 mile drive from our Coventry Binley Hotel. For a ‘hands-on’ experience, visit the old-style Mary Arden Farm. Potential Top Moment: You could witness a goose parade or Tudor dinner. If it’s raining (Newsflash: This is England), a visit to the Mechanical Art and Design museum is a must. It’s described by visitors as ‘bizarre’ and ‘eccentric’ so let your imagination run wild. Afterwards, you may need a spot of calm, so our Stratford Upon Avon Hotel less than a mile away.